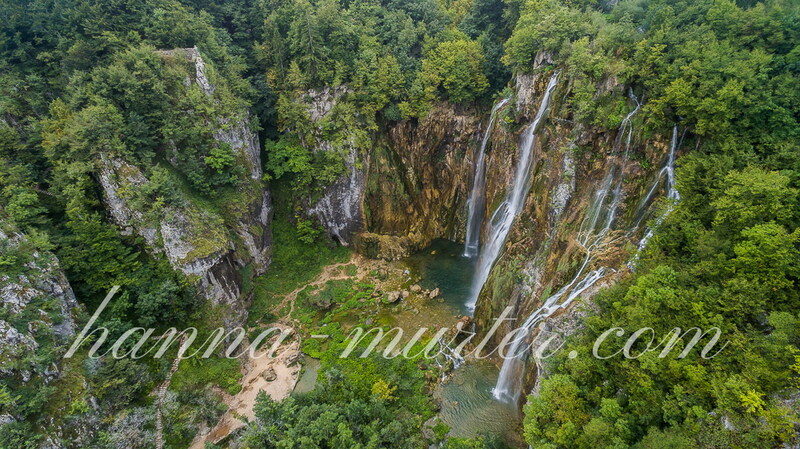 Plitvice Lakes is a national park in the mountainous region of Lika. National park is established in 1949 and covers 296.85 km2 of breathtaking natural splendor becoming with it the largest among the eight national parks of the country. Ranging in altitude from 367 m (Koranski most) to 1279 m (Seliski vrh) above sea level. 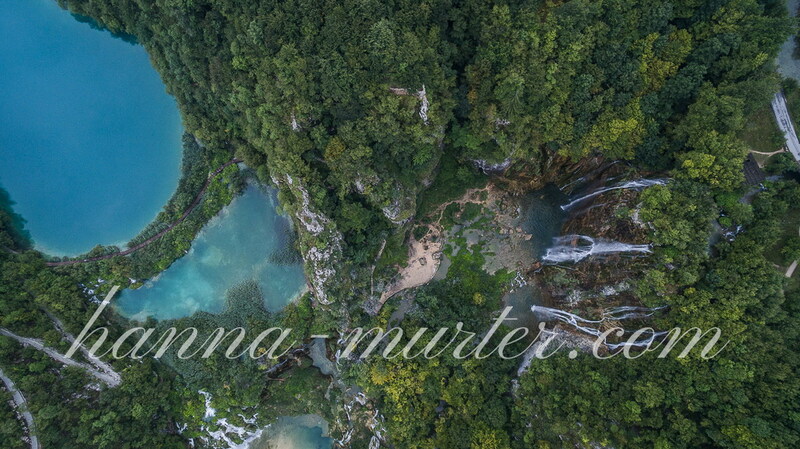 The park was inscribed on the UNESCO’s World Heritage List in 1979, in recognition of its “outstanding natural beauty and undisturbed production of travertine (tufa) through chemical and biological action”. The park represents a phenomenon of karst hydrography. 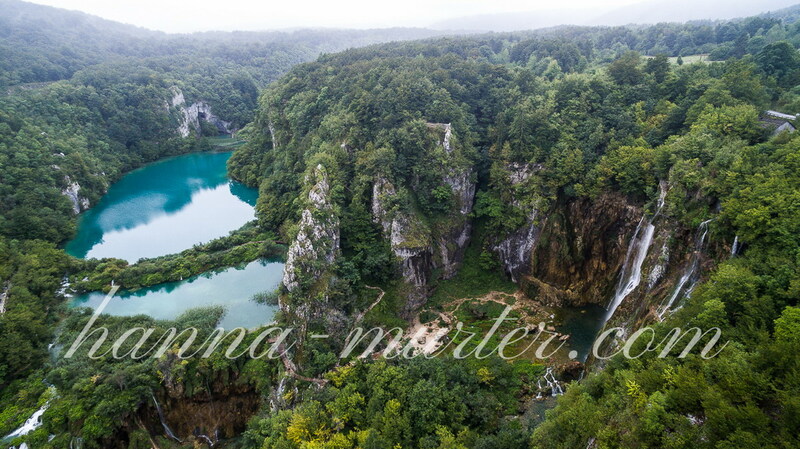 The lakes of Plitvice are separated by natural dams of travertine, which is deposited by the action of moos, algae and bacteria. The encrusted plants and bacteria accumulate on top of each other, forming travertine barriers which grow at the rate of about 1 cm per year. There are 16 lakes which are separated into an upper and lower cluster formed by runoff from the mountains, descending from an altitude of 636 to 503 m (2,087 to 1,650 ft) over a distance of some eight km, aligned in a south-north direction. The lakes collectively cover an area of about two km², with the water exiting from the lowest lake to form the Korana River. Lakes are divided into the 12 Upper Lakes (Gornja jezera) and the four Lower Lakes (Donja jezera). Upper lakes are: Prošćansko jezero, Ciginovac, Okrugljak, Batinovac, Veliko jezero, Malo jezero, Vir, Galovac, Milino jezero, Gradinsko jezero, Veliki Burget and Kozjak. Lower Lakes are: Milanovac, Gavanovac, Kaluđerovac and Novakovića Brod. 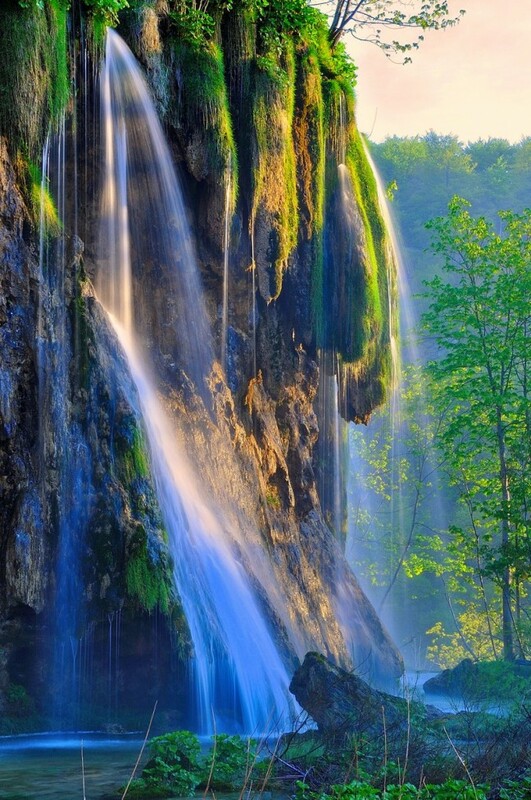 The Plitvice Lakes are renowned for their distinctive colours, ranging from azure to green, grey or blue. The colors change constantly depending on the quantity of minerals or organisms in the water and the angle of sunlight. 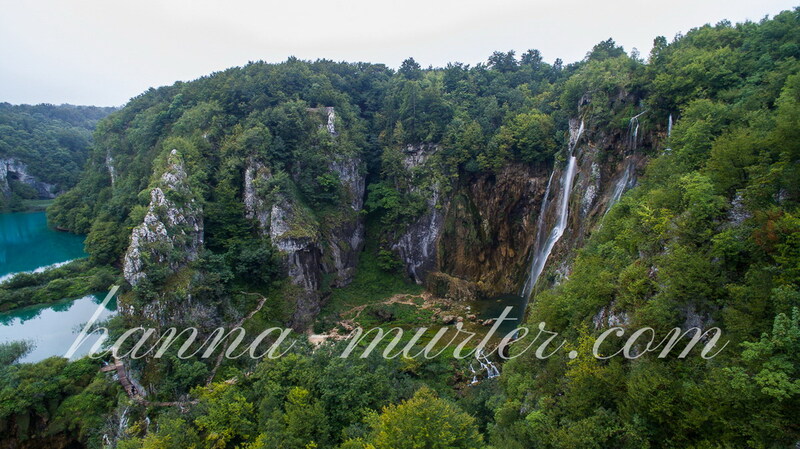 The Park is situated in central Croatia, surrounded by three mountains parts of the Dinaric Alps: Pljesevica mountain (Gornja Plješevica-peak 1,640 m), Mala Kapela mountain (Seliški Vrh- peak at 1,280 m), and Medvedjak (884 m). The National Park is also home to 4,000 inhabitants. The local economy is based on tourism and farming. Hiking is a common activity with organized programs for park visitors, other possible activities include: electric boat and train ride, cycling, skiing and rowing. Under the travertine waterfalls Crantoneuron moss sometimes grows, the moss gets encrusted with travertine and fresh moss grows further out, first a crag is formed but later a cave roof forms under the crag. If the water continues flowing the cave becomes progressively bigger. Limestone caves are present as well. The area of national park is heavily forested, mainly with beech, spruce, and fir trees, and features a mixture of Alpine and Mediterranean vegetation. It has a notably wide variety of plant communities, due to its range of microclimates, differing soils and varying levels of altitude. The park is also home to an extremely wide variety of animal and bird species. Rare fauna such as the European brown bear, wolf, eagle, owl, lynx, wild cat, and carpercaillie can be found there, along with many more common species. At least 126 species of birds have been recorded there, of which 70 have been recorded as breeding there.